This antenna tuner is perhaps the best value of any ever built. Its biggest drawback that I have observed is the problem it has handling high power on 160 meters, which manifests itself as a slowly rising SWR ‘drift’ after the tuner has been set. This is a result of the small current handling capacity of the four humble 470 pf disc ceramic capacitors that get progressively switched into the circuit. These caps can get profoundly hot under normal high-power operating conditions, and although they never ‘popped’ on me, I was always afraid they would. The fix was simple in theory: replace the disc ceramic caps with “doorknob” caps, which are available on the Internet. 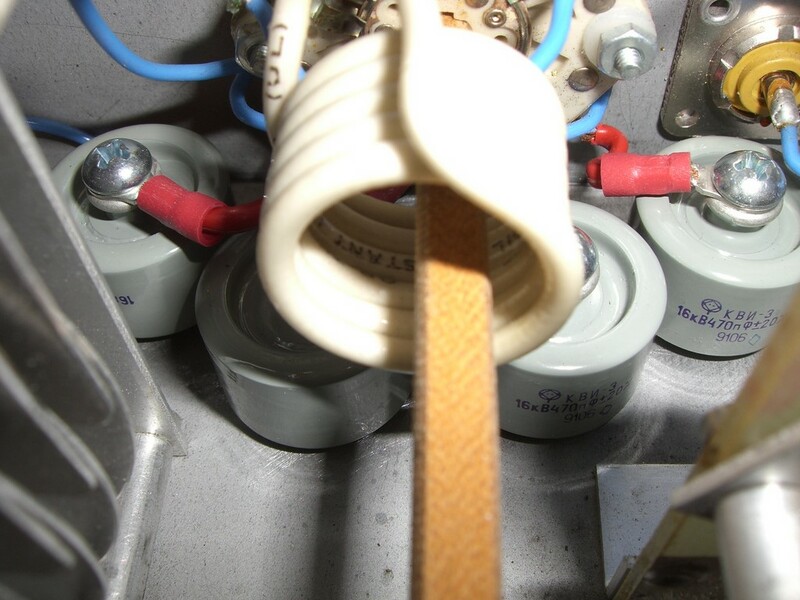 I found a source on e-bay of surplus Soviet military 16 kV/15 Amp RF units with excellent high-temperature specifications. Do a search on e-bay using “capacitors doorknob”, and you’ll see a bunch at great prices. Physically installing the caps proved to be a bit more challenging. 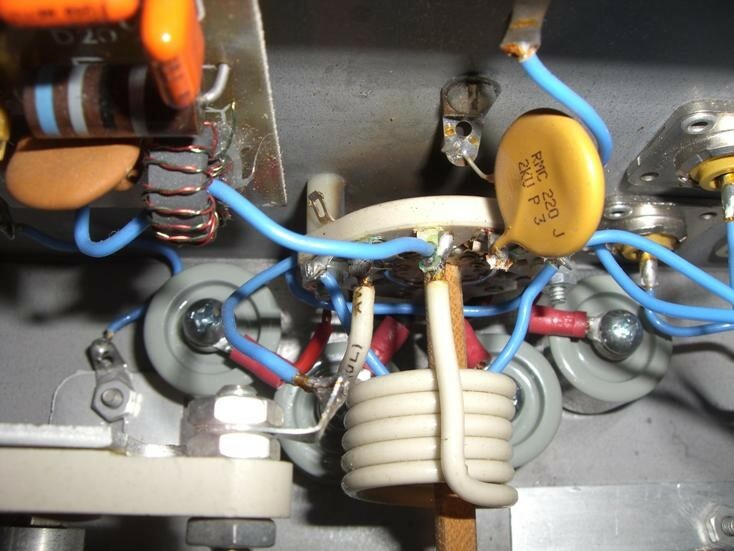 There is serious disassembly required to access a place on the chassis deck where they can be located in very close proximity to the main switch. It’s important to keep the leads as short as possible to avoid introducing unwanted inductance in series with the caps. 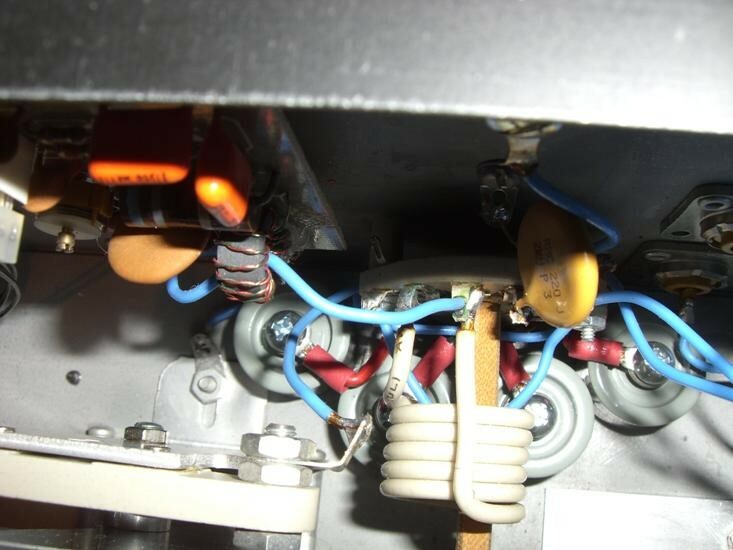 All four caps had their bottoms mounted directly to the chassis with the appropriately-sized hardware, and short leads with spade lugs connect the tops to the switch contacts. Be sure to sand the chassis to get a clean connection. The photos below show the finished job. 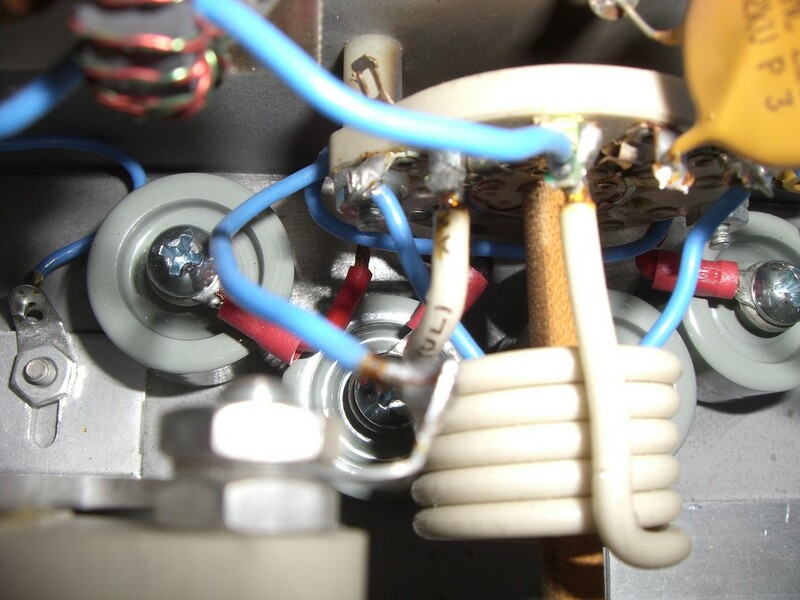 If you look carefully, you can see where the old caps let out their 'magic smoke' right behind the rotary switch! The modification works exactly as intended! I can run 1.5 kW, key down (I only try that for a few seconds, though) without seeing any ‘drift’ on the SWR meter. My quarter-wave, bent sloper, which has a 2.5:1 SWR without a tuner now tunes right down to 1:1, and even better, one single setting on 160 meters covers the entire band with < 1.5:1! The tuner also works fine after the modification on 17 and 12 meters where I use it to tune a Force-12 C4 that really wasn’t designed to work on those bands.